Today is a snow day in our household thanks to yesterday’s blizzard and today’s negative temps. That means hot coffee and a hearty breakfast! We have coffee every morning, but big breakfasts are usually reserved for the weekends when we have more time. 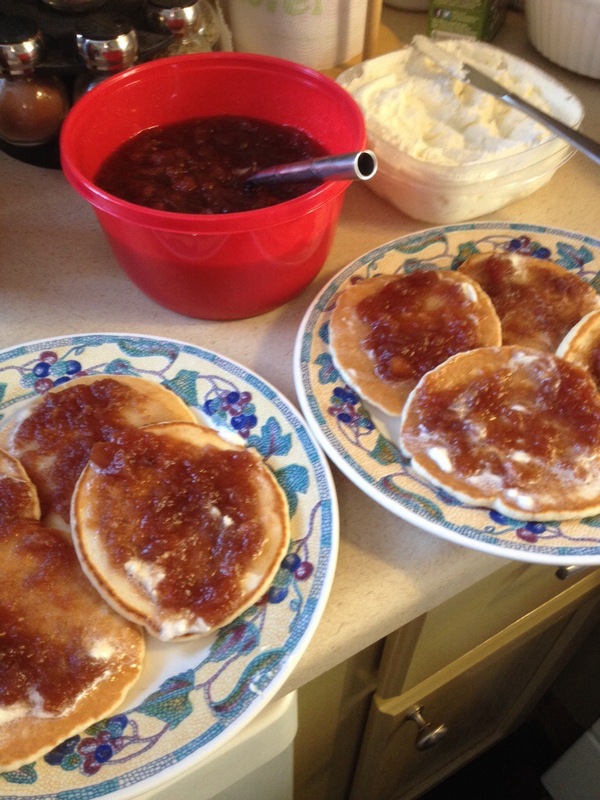 Today I made pancakes, but even better are the toppings: homemade butter and homemade apple butter! That’s my crockpot apple butter that I made on New Years Day. And J made butter yesterday with his new mixer!